OK people. This is going to be a bit boring, but I'm just gonna get to it. 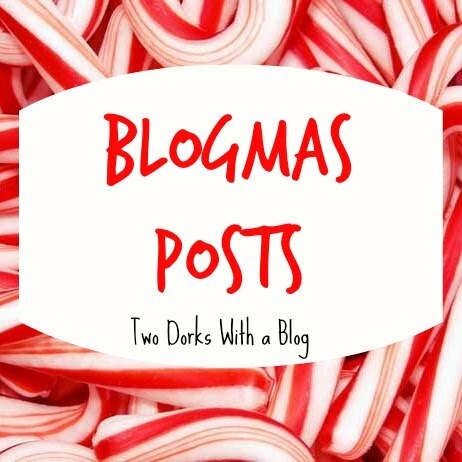 In December, Two Dorks with a Blog is going to be doing a Blogmas. We will be doing it throughout the whole month, so it won't be quite the same as what YouTubers do with Vlogmas, but longer and probably not the vlog style. Consider it a 31 Days of Dorks. There will be a blog post going up every day. I will start with the first post on the first of December; Emma will take the second of December. We will then alternate posts until the 31st, which will then (maybe) be a joint post. I’m super excited for this. We have both been prepping for this for a while now, but that month is still going to be super busy, so bear with us through the next few weeks as we try to get the posts going. Comment down below any posts you want! Good luck! Having done 365, I can only say "good luck". Thanks for the awesome post ideas Noelle! !